Harold and Jeanne married after meeting at an event California State University, Dominguez Hills Philanthropic Foundation held for our donors. They wanted to leave a legacy gift that would support our mission and ensure that we remain financially strong well into the future. 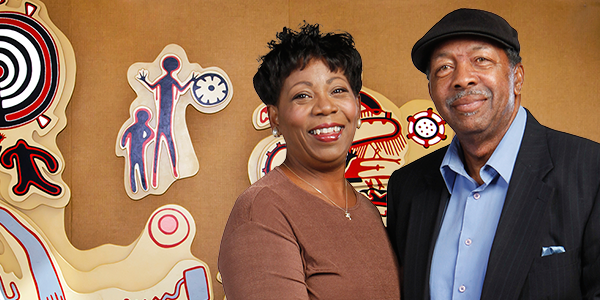 Harold: Jeanne and I have always felt a strong connection to California State University, Dominguez Hills Philanthropic Foundation and their work. Over the years we have seen the organization grow and help so many people. We wanted to make sure that they have the means to continue to grow for years to come. Jeanne: We talked to our investment advisor about planning goals and explained that we wanted to support California State University, Dominguez Hills Philanthropic Foundation. Our advisor suggested a simple solution  naming California State University, Dominguez Hills Philanthropic Foundation as a beneficiary of one of our mutual funds. Marcus, who was Harold and Jeanne's investment advisor, suggested that Harold and Jeanne use a "transferable on death" or "TOD" form. Marcus explained that because Harold and Jeanne jointly owned the account, the TOD beneficiary designation form would ensure that they can benefit from the mutual fund during their joint lives, that the survivor of the two of them would continue to own the mutual fund for the rest of the survivor's life, and that after both pass away, the mutual fund would be transferred to California State University, Dominguez Hills Philanthropic Foundation. Marcus provided the proper TOD beneficiary designation form, and Harold and Jeanne were easily able to complete the paperwork before they left Marcus's office. Harold: I like knowing that if I pass away, Jeanne will have enough to meet her needs. We both like knowing that California State University, Dominguez Hills Philanthropic Foundation will receive the mutual fund after both of us pass away. We couldn't be happier with our giving strategy. If you own stocks, bonds or mutual funds and would like to make a gift to leave a legacy and support California State University, Dominguez Hills Philanthropic Foundation, consider a transfer on death gifting strategy. If you have questions about transfer on death giving strategies, please contact us. We would be happy to assist you and answer any questions that you have.